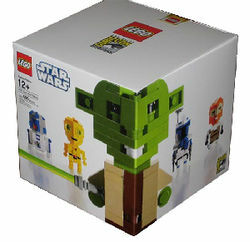 The Star Wars Celebration V Cube Dudes is a LEGO Cube Dudes set that was available exclusively at the 2010 San Diego Comic-Con. Only 2000 of these sets were ever made. Facts about "Star Wars Celebration V Cube Dudes"
This page was last edited on 18 August 2017, at 00:41.